After splitting from the Blackzilians and Authentic Sports Management, Alistair Overeem will reportedly prepare for his next bout with the renowned Jackson-Winkeljohn camp in Albuquerque, New Mexico. 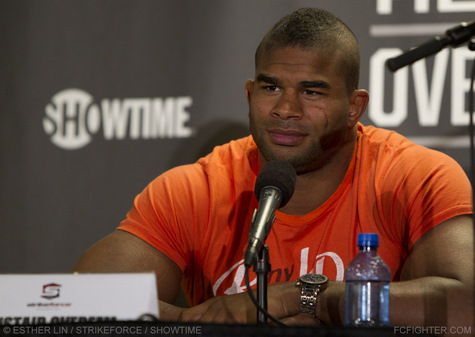 The news comes not long after Overeem signed with a new management team, VFD Marketing. Overeem, who is coming off a one sided, unanimous decision win over Frank Mir in February, relayed the move to Jackson-Winkeljohn with MMA Fighting.com. In addition, Greg Jackson has confirmed that Overeem is joining the gym, and that the fighter is going to see if he “gels” with the team. Prior to facing Mir, Overeem (37-13) was stopped by Antonio Silva and Travis Browne, the latter of which trains out of Jackson-Winkeljohn. The aforementioned Mir has also spent time training with the Albuquerque team. Since joining the UFC the 33 year-old Overeem has gone 2-2, with his other win coming over former champ Brock Lesnar. The Dutch heavyweight is currently recovering from elbow surgery and does not have his next fight booked.